Is boho chic fashion your primary look in your everyday life? If your answer is yes, then you should take a close up look at this street style collection. You gonna see best outfit ideas how to wear bohemian style. Think of warm and rich colors, relaxed and loose-fit silhouettes, lace, suede, fringes, Cowboy inspired details, soft and draped fabrics. I love to see young ladies who manage professionally combine vintage with modern designer outfits. If you want to create a powerful boho look, then you better think of combining punk, folk, hippie with modern chic pieces. Use delicate and detailed embroideries, long floaty skirts and dresses, flowy blouses, crop tops, fur vests, distressed and ripped denim, knits, military clothes and creative hobo bags. An accessory is an important part in boho looks. 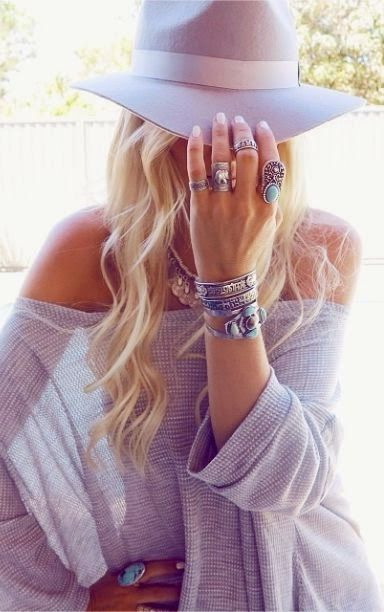 Think of fedora, floppy or any other wide brimmed hat, bracelets and long necklaces. Just keep in mind one simple thing: there are no rules in creating the boho chic look! That’s an edgy looking boho look! We see a lady wearing a wide-brim black hat, embellished black leather jacket, white blouse and wide black trousers. My sister likes boho fashion and wanted to wear them to school every day. It was explained here that having warm and rich colors for her outfit. 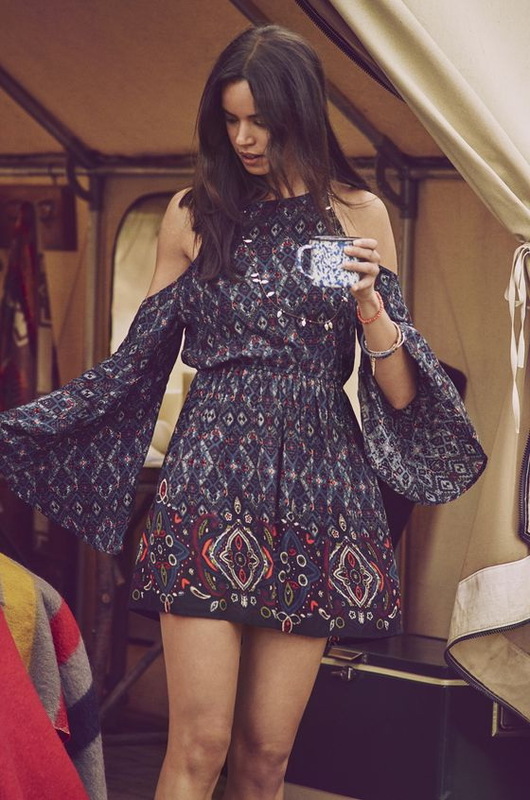 Moreover, it’s advisable to go to trusted shops when planning to buy a boho mini dress.